After making this card, I had a picture in my mind of our little fisherman from Keepin' it Reel doing a spot of ice fishing. I like the way Dian created the snowy background and the snow drifts with her die cut so that's the direction I went in. I blended a Wintry sky, then used a snowy background stencil and some Gesso to create the snow. I edged the snowdrifts with some glue and added some chunky glitter for some snowy sparkle. I'm wondering if this little fella is perhaps Santa in disguise? 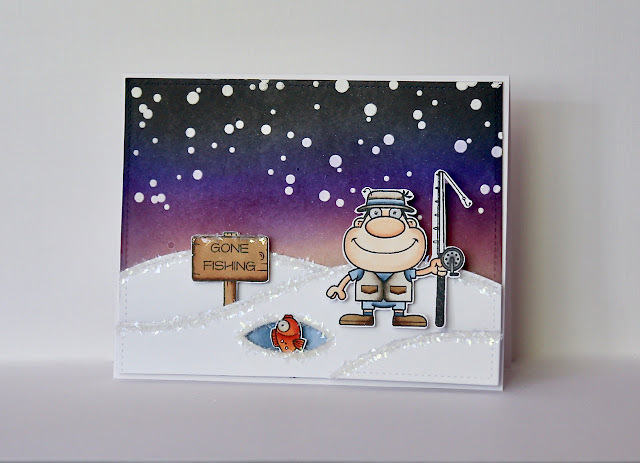 Perhaps he shaved his beard off and went to do a spot of ice fishing for a well earned rest? Somebody really needs to tell him that long sleeved clothes are more suitable in the North Pole! Make sure you go and check out what the YNS Design Team have been up to! 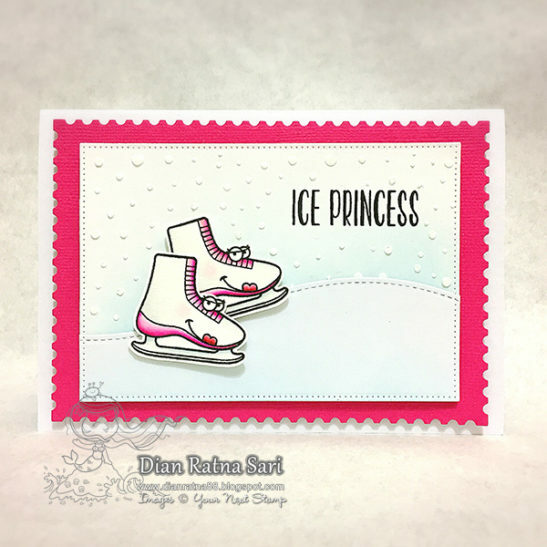 Guest Designer - Your Next Stamp!